Here’s a mightily powerful triple download album from Springline Records/Springline Jamaica under the guiding hand of producer Gibsy Rhodes. All-in-all there are 35 tracks of fine musical quality featuring, amongst others, Ras Sis Highness, Steve Steppa and Yabass who have all been reviewed at reggaemusic.org.uk in the recent past. It is a showcase for the album and production team, linking to the new label website and, because the world can sometimes be kind and generous despite so many indications to the contrary, the first 200 downloads of the whole thing are entirely free. As for the music, ‘Reel 1’ features several more than worthy tracks, including a ‘Ego Nah Rule I’ by the Manor, a great unmastered 2010 demo with a steady bass and melodica sounding instrumentation that in due course reaches its dub conclusion. This mood is followed up with ‘A Him Sah’ from Spliffington, a splendid 2009 unmastered dub, warranting loud repeated play. Steve Steppa contributes a couple of strong tracks including ‘Full Circle’, vocalising atop the ‘Bredfruit’ riddim, while ‘Channel One’ from Yabass – a 2009 unmastered demo – is a good skanking instrumental version that journeys happily along in its untroubled manner. ‘Reel 2’ digs a little deeper, featuring for instance ‘Seeds’ from Creation Rockers with its heavily restructered vocal channel from Manor, and a lot of activity in the instrumental tracks including something that sounds remarkably like phasing toward the end – this is actually the Yabass mixdown of the original track and well worth attending to. David Pablo is having ‘Donkey Trouble’ (well we can all understand) on the curiously retro 2013 single included here – a strong instrumental that finally resolves itself into another fine dub. ‘Mr Landlord’ from Breadwinners conjures up the feel of Mr Lee Perry on the production side, while ‘All That Glitters’ from Denja is a largely acoustic contemporary reggae tune, ending in some nice distortion and tape trickery. This reel concludes with ‘Got to Know’ from The Manor, a good roots tune with its spiritual feel and lyrics. On the final virtual tape/CD/record we encounter Creation Rockers again with ‘Let’s Make Waves’, once more offering intriguing production and instrumentation over the top of a strong reggae song, originally released on a CD-only EP in 2012. ‘Makers of Africa’ from MLK is slow and serious reggae music, a 2013 promo. ‘Dustbowl Dub’ from El Bib is a dub that moves closer to dance rhythms than to the old-school dub sound, while ‘Dub Storm’ from Dub Alchemist is sparse sound deconstruction, old and contemporary at the same time. This side closes with ‘A Murdering Riddim’ from Flow Prod., one of 40 or so riddims Springline Jamaica have in their vaults from this source. You’ll find something interesting within all this music and you can usefully check out the Springline site for yourself here. An offshoot of Oxford’s own much-respected Dubwiser (see reggaemusic.org.uk 1st November 2011) this intriguing release features Spider J incarnated as frontman for newly constituted Dubwiser Dancehall. He has previously worked alongside Lee Perry and Horace Andy, both of whom have frequently and successfully reinvented themselves, just as reggae itself has constantly reconstructed its own musical purpose. On this release the process of reinvention for Dubwiser Dancehall takes some interesting turns, based on the production and songwriting core of Jonas Torrance as well as Spider J. As with Dubwiser, the guiding inspirations of Dubwiser Dancehall are reggae, dub and hip-hop, and this four-track EP is as good as that description implies. Opening strongly with ‘Eye Popper’ (feat. Spider J), a jungle-influenced rhythm/instrumentation appears from nowhere and then powers along with vocals that draw from dancehall and from hip-hop in a surprisingly accessible musical style that would surely draw in a wider audience – if they ever get to hear it. Then it’s original rude boy time with ‘Pedantic’ (feat. Scrutineer), a roots/reggae way-in to a persuasive deejay/hip-hop excursion over the top of a mightily serious rhythm track. The third cut is ‘Dubwiser Groove (remix)’ (feat. the somewhat mysterious EB) and here we are into straightahead hip-hop territory interspersed with drum/bass rhythms and various interjections of different kinds. The EP concludes with ‘Rise Up’ (feat. Burnt Brasse), an excellent workout which starts with a triumphant anthemic instrumental intro before heading into a very sharp reggae rhythm and some highly British vocalising over the top. Definitely sequenced in the right way, this track closes the EP with a powerful final note. This Dubwiser Dancehall release is a great illustration of how new sounds, attuned to the different traditions that went before, are emerging from unexpected directions in these turbulent postmodern times. In such times few may remember what ‘EP’ means anyway…but that scarcely matters. UB40 provoke mixed reactions. For some, their legacy of covering songs from the received reggae tradition as well as writing their own material has brought the music to a far wider audience than reggae previously enjoyed. 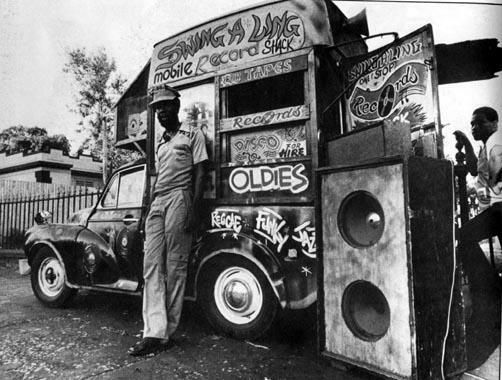 For others, their style of reggae-lite verges on MOR drive-time background listening. Whatever assessment is offered, along the way they have released some tracks that deserve an honourable mention in any complete history of reggae. You might say: like what? Well, like the 12” version of ‘The Earth Dies Screaming’ with its powerful bass-led ‘version’ preceding rather than following the vocal track and enough reverb and echo to keep anyone happy. As well as its cheery lyrics of course. And the very early ‘King’ which uniquely managed to combine thoughtful reggae and even a dub into a 4 minute pop single. So, here they are with the first new album release for three years, featuring Duncan Campbell as lead singer (he replaced brother Ali Campbell in 2008). Otherwise the membership is largely that of the original band, dating from 1978. The album is a combination of original songs and covers, the latter drawn, perhaps surprisingly, from country music, including George Jones’ ‘Getting Over The Storm’, Jim Reeves’ ‘He’ll Have To Go’, Willie Nelson’s ‘Blues Eyes Crying In The Rain’ and Vince Gill’s ‘If You Ever Have Forever In Mind’. “It’s not a country album, though.” states further brother Robin Campbell. “It’s a UB40 album. It’s a reggae album. We’ve just covered some country tunes.” It also includes the rather topical ‘How Can a Poor Man Stand Such Times and Live?’ which most people will know from Ry Cooder’s 1970s reworking of a song from the Great Depression era. The band are due to tour in the UK in September, coinciding with the album’s release. A limited edition version of the album is also advertised as available from here. “Limited to just 200 copies, the album will include a 12×12 poster signed by the band” according to their press release.